Since it was founded in 1860, the Pellegrino winery has remained both a leading Marsala producer and family-owned. Yet since that was written, the gleaming white Pellegrino winery in the city of Marsala added in 2014 what must be one of the most elegant tasting rooms in Sicily. It has placed historical winemaking artefacts throughout its remarkably clean cellars. Those cellars contain 52 vats full of Marsala, each with a capacity of 300 hectolitres. Some death bed, indeed. It must be admitted, however, that Pellegrino also makes table wines under the Duca di Castelmonte label. Table wines now account for 60% of the eight million bottles of wine made each year by this winery, with Marsala and another dessert wine accounting for 40%. The winery also produces and exports sacramental wine, the demand for which, presumably, is healthier than the demand for Marsala. The winery was founded in 1860 by Carlo Pellegrino, very likely at the inspiration of his French wife who was from a winemaking family in Sauternes. Over six generations, marriages have changed the surnames of the owners; but the family still owns all the shares of Pellegrino. At several points in the winery, the Pellegrino family tree is prominently displayed. The winery, by the way, is not related to the sparkling water of the same name. Pellegrino was one of the Sicilian families that took control of the once-burgeoning Marsala business from its English founders. In its account, the Oxford Companion notes that an English merchant named John Woodhouse, on arriving at the port of Marsala, in 1770, discovered that the local wine somewhat resembled Madeira and decided to test the market by shipping some to Britain. He is said to have “invented” Marsala by adding 8.5 gallons of grape spirit to each 105-gallon barrel of wine. The point of fortifying it was to make it more stable for shipping. The wine was such a success that he opened his own warehouse and cellar in Marsala by 1796. “The victualling of Nelson’s fleet in 1798 doubtlessly assisted in spreading the name of the wine,” the Oxford Companion observes. Hugh Johnson, in his Modern Encyclopedia of Wine, writes: “In a sense it is Italy’s sherry, without sherry’s brilliant finesse or limitless aging capacity.” His brief entry makes it evident that he is not a Marsala fan – or has not had much opportunity to taste good examples. In the 1960s and 1970s, the Marsala wine producers sought to extend their wine’s real by making wines flavour with coffee, chocolate, strawberries, almonds and eggs. These were all called Marsala until 1984, when the DOC rules were tightened and the Marsala name was limited to undoctored wines. Marsala Fine, which is aged only one year in wood. This is the wine which is a staple in cooking. Hugh Johnson suggests that “Fine is normally sweet and rather nasty.” I can’t comment because none of the Marsala producers I visited offered an example for tasting. Marsala Fine Rubino, which is a sweet red wine made from the Nero D’Avola grape which is the backbone of Sicilian red wines. Pellegrino makes only a small volume and does not export it, which is a pity. I thought the wine was delicious, a bit like Ruby Port but not as heavy. Marsala Superiore Reserva Oro, gold in colour with textures and flavours burnished during four or five years aging in cask. The dry version has an appealing nutty flavour. Marsala Superiore Reserva 1985 Ambra. Aged five years in wood, this rich and nutty Marsala is an excellent wine as a dry aperitif. This is the bottle I chose at the winery, where it retails for the equivalent of $20, an incredible bargain. Marsala Virgine Soleras. This wonderful wine is made by the solera method, with cask-aged wine as old as 30 years in the blend. It is very much like a dry sherry, with flavours of butterscotch, hazelnuts and wood. It also retails for $43.50 a bottle. The new tasting room, called Overture, aims at accelerating wine tourism. It is actually a four-storey building with a projection room in the basement, a retail outlet on the main floor, tasting rooms on the next level and a room for viewing the seacoast scenery on the top floor. That is not this tourist-oriented winery’s only venue for special events. The Pellegrino property also includes two huge silos built as wine storage tanks in 1950, when Marsala was still in its heyday. Pellegrino stopped storing wine in them in 1990 and has since converted them into function rooms, with a professional kitchen and a professional tasting room. The tanks are so huge that there is an elevator for those who do not care to climb four levels to the top. The tasting at Pellegrino included a few examples of table wines as well, all of them very well made – and probably hard to find in my market. Sicilian wines are especially interesting because many are made with indigenous grapes. A white variety called Grillo, which is used in making Marsala, yields surprisingly fresh and crisp whites. There is no Grillo listed by the British Columbia Liquor Distribution Branch (some private stores have various examples). The LDB, however, lists Pinot Grigio from Sicily. Even if Pinot Grigio is easier to sell than Grillo, it is absurd to list that varietal from Sicily when far better ones come from northern Italy. Somewhere out there, a Halloween party is looking for wines that fit the theme. Besieged, a red wine with a scary label from the Ravenswood winery in Sonoma fits the bill. It has just been listed in British Columbia at $25 a bottle. If you prefer Okanagan wines, choose the scary labels but excellent wines from Moon Curser Vineyards in Osoyoos. Example: Afraid of the Dark is an award-winning white for $22. The dark label of the Ravenswood wine features three ravens flying against a stormy sky. Apparently, the inspiration was a memory that Joel Peterson, Ravenwood’s founding winemaker, has of once picking grapes ahead of a threatening storm while a flock of noisy ravens wheeled overhead. A flock is sometimes also referred to with the archaic phrase, a murder of ravens (or crows) because the black birds were associated with ill luck in the early middle ages. Far from having bad luck, Joel has had a long success as a winemaker, with the ravens being the totem for the winery. Besieged is an intriguing blend: Petite Sirah, Carignane, Zinfandel, Syrah, Barbera, Alicante Bouschet and Mourvèdre. The percentages are not revealed and it would have been a challenge keeping track during the blending. Besieged 2013 is a delicious wine. Dark in colour and full-bodied, it begins with aromas of plum and blackberry. On the palate, the fruit flavours are richly layered, including plum, blackberry and black cherry. There is spice and black liquorice on the finish. 90. The label of Besieged immediately reminded me of Moon Curser’s wines. Most of their labels feature the silhouette of a wolf and a raven with a lantern. The wolf – there are sometimes two –has a spade over its shoulder, as though it was about to unearth or bury something. The raven’s lantern provides the light on a dark night. The story behind Moon Curser is different than Ravenswood’s. The original name of the Canadian winery, which opened in 2006, was Twisted Tree Vineyards. A few years later, owners Beata and Chris Tolley decided that name was somewhat bland. They hired Vancouver marketer Bernie Hadley-Beauregard to rebrand the winery. The new name and the scary labels emerged from south Okanagan’s 19th Century history of gold mining. At that time, the nearest smelter was in Spokane, across the border. The miners had to pay duties if they declared their gold at the border. Consequently, there was a certain amount of smuggling at night. The miners cursed the moon when it was bright enough to reveal them to the authorities. The Tolleys have had fun with this history, with labels such as Afraid of the Dark, Nothing to Declare, Contraband and Dead of Night. The latter, arguably their flagship wine at $38, is a blend of equal percentages of Tannat and Syrah. However, Moon Curser’s Border Vines is more comparable to Besieged with a price of $25 for a six-grape blend of Bordeaux varieties. The Moon Curser wines can be found in VQA stores while Besieged is not listed in about 80 Liquor Distribution Branch stores. And there is ample stock, with about 3,000 bottles of Besieged available. The Similkameen Valley’s winery population has grown by one, with the opening last month of Hugging Tree Winery. A family-owned and operated winery, Hugging Tree is located on the east side of Highway 3. The tasting room is modest but comfortable. The family members who take turns behind the tasting bar create a friendly atmosphere. One need not limit the conversation to wine. Cristine Makepeace, one of the proprietors, is an enthusiastic organic gardener. She also makes excellent peach jam from the farm’s peaches and sells the jams in the wine shop. Here is the text of the Hugging Tree profile from the recent edition of John Schreiner’s Okanagan Wine Tour Guide. Walter and Cristine Makepeace moved 13 times during their careers with the RCMP. In 2005, just before Walter retired from the force, they settled down in the south Similkameen Valley, buying a highway-side organic apple and peach orchard near Cawston where they could finally put down roots for themselves and for their three children. 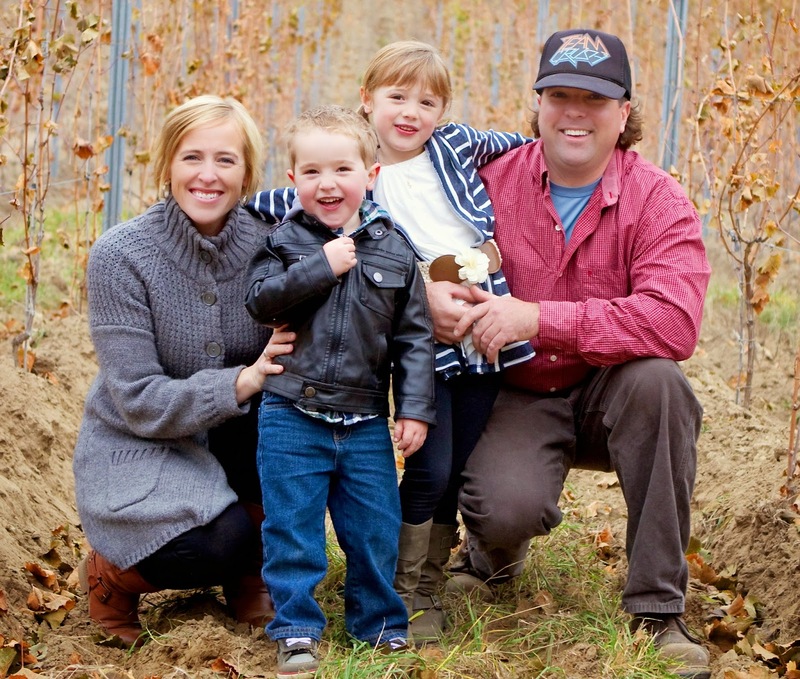 Nine years later, the property has blossomed into a family-operated estate winery that includes daughter Jennifer and sons Brad and Wes. Walter, who was born in Vancouver in 1953, joined the RCMP in 1975. His wife Cristine, whom he had met in high school in Surrey, joined the force soon after. At the time of their retirement, Walter was the staff sergeant in charge of the South Okanagan and Cristine, who joined the RCMP in 1990 (and who had previously run the Keremeos detachment), retired in 2013 as a sergeant posted at the Vancouver headquarters. Their search for a vineyard ended when George Hanson, the owner of Seven Stones Winery, directed them to a 24-hectare (60-acre) property located almost across the highway from Seven Stones. Half of the property was orchard; the other half was raw land. (A pair of entangled willow trees on the lawn inspired the winery’s name.) Walter planted grapes on the second half in 2007 and 2008 and now has an eight-hectare (20-acre) vineyard, all of it in Bordeaux reds except for a modest block of Viognier. Syrah planted unsuccessfully on another four hectares (10 acres) was removed, making room for a white varietal in future, as well as for a winery cellar. To expand on that, Hugging Tree’s consulting wine maker is Richard Kanazawa who, until recently, was the winemaker at Serendipity. Richard has his own label, Kanazawa Wines, now based on a Naramata vineyard. Because Hugging Tree will not have a press of its own until next season, the 2014 crush will be done by Richard and Brad at Synchromesh Wines in Okanagan Falls. Hugging Tree Viognier 2013 ($17 for about 275 cases). A delicious wine, it has aromas of tropical fruits that jump from the glass. On the palate, there are flavours of lychee, green apple and apricot. Bright acidity gives this wine a tangy, refreshing finish. 90. Hugging Tree Rosé 2013 ($18 for about 330 cases). This made with Merlot and Cabernet Sauvignon juice. The wine has aromas of strawberry and candy apple, leading to strawberry flavours and a crisp, dry finish. 90. Hugging Tree Moonchild Merlot 2012 ($21 for about 500 cases). The name is an obscure astrological reference with special meaning to the Makepeace family. The rest of us need only enjoy the wine which begins with a touch of vanilla, oak and black currant on the nose. On the palate, there are flavours of black currants and blueberries. The ripe tannins give the wine a generous texture. 89. Hugging Tree Telltale 2012 ($25 for about 600 cases). This is 48% Merlot, 33% Cabernet Sauvignon and 19% Cabernet Franc. This is a well-made Meritage from a strong vintage. It begins with aromas of blackberry and cassis. On the generous palate, there are flavours of black current, blackberry, raspberry, with a touch of vanilla and chocolate. With a firm (but not hard) texture, this wine is three to four years away from peaking. 90-92. Hugging Tree Vista 2012 ($35 for 75 cases). This is 65% Cabernet Sauvignon and 35% Syrah. It is a wine with considerable intensity. It begins with aromas of pomegranate and black cherry mingled with the meaty notes of rare steak. On the palate, there are flavours of pomegranate, black cherry and black currant. The texture is firm and the wine should be cellared for a few years. 90 - 91. Founded in 1993, Poplar Grove was still a boutique winery in 2007 when Tony Holler acquired majority ownership from founder Ian Sutherland. Born in Summerland, Tony had already succeeded as a doctor and pharmaceutical entrepreneur. He had bigger ambitions in the wine industry and more resources to invest than his partner. 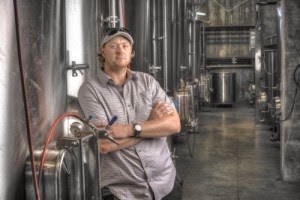 Since then, two new wineries have been built: the Poplar Grove winery still retains the boutique size and image while the nearby Monster Vineyards winery has the capacity to produce and cellar most of the wines for both labels. The capacity is 25,000 cases. With the space available at the Monster facility, the premium Poplar Grove reds now have the luxury of two years, or so, in barrel and another two years in bottle before being released. That is one reason for the noticeable rise in the complexity and quality of those reds in recent years. The other reason, and a more fundamental one, is that Poplar Grove gets almost all of its grapes from vineyards owned by Barbara Holler, Tony’s wife. The Monster label, which was created several years ago, enables winemakers Stefan Arnason and Nadine Allander to keep a clear distinction in style and quality between Poplar Grove’s premium wines and Monster’s fruit-forward, easy-drinking wines. Monster has certainly won enough awards to prove that these are also very well made wines. The latest releases have the double appeal of being tasty and affordable. Monster Vineyards White Knuckle 2013 ($17.90). This is a blend of 50% Riesling, 24% Chardonnay, 21% Pinot Gris and 5% Viognier. The wine begins with aromas of peaches, apples and citrus. On the palate there are gobs of tropical fruit, with flavours of lychee, tangerine, and apricot. The texture is juicy, with bright acidity nicely balanced with a trace of sweetness. I am not sure why it is called White Knuckle because there is nothing scary at all about quaffing it happily. 88. Monster Vineyards Skinny Dip 2013 ($19.90). This is 90% Chardonnay, 10% Viognier. The wine begins with aromas of ripe apple and ripe pears, with a hint of honey and lemon. On the palate, there are flavours of apples and grapefruit. The texture is generous but the finish is dry; and that results from superb winemaking. The technical note shows the wine has 10.5 grams of residual sugar. One might expect a sweet finish but the bright acidity leaves the wine crisp and refreshing. 89. Poplar Grove Chardonnay 2013 ($21.90). This is a bright and fresh Chardonnay, beginning with aromas of apples and honeydew melon. On the palate, there are flavours of citrus and nectarine with a subtle toasty hint of French oak. The subtlety came from the winemaking decision to put 14% of this wine in new French barriques, and just for three months. The rest aged in stainless steel; malolactic fermentation was discouraged so that the lively fruit flavours could be preserved. The texture is ever so lightly creamy. This is quite an appealing wine. 90. Poplar Grove Viognier 2013 ($24.90). This wine is available only in the winery’s tasting room and to those fortunate enough to have joined the wine club. It begins with lovely aromas of orange blossoms and fresh apricots. On the palate, there are flavours of apricot and peach with a touch of ripe pineapple. The texture is rich with the classic spine of minerality this variety displays. The fruit flavours are exceptionally pure and intense, with a refreshing brightness reflecting good acidity. 91. Poplar Grove Blanc de Noirs 2013 ($24.90). There are five varietals in this rosé which was made by the saignée method (bleeding juice from freshly crushed red varieties). This wine is 41% Merlot, 27% Syrah, 25% Malbec, 5% Cabernet Franc and 2% Cabernet Sauvignon. The wine has a lovely pink watermelon hue (in the style of a Provence rosé). It begins with aromas of raspberry and strawberry, leading to flavours of raspberry and cherry. The wine’s residual sugar gives the flavour a hint of mid-palate sweetness while the bright acidity gives the wine a crisp finish. 90. Monster Vineyards Monster Cabs 2012 ($19.90). This is 37% Cabernet Franc, 32% Cabernet Sauvignon, 27% Merlot, 4% Malbec. This is a juicy wine with a wallop of fruit on the palate. There are aromas and flavours of black cherry, black currant and spice. The long ripe tannins give this wine immediate drinking appeal but there is enough backbone to hold the wine for several years in the cellar. 89. Monster Vineyards Merlot 2012 ($19.90). This is 92% Merlot with 4% Cabernet Sauvignon, and 2% each of Malbec and Cabernet Franc. Dark in colour, the wine begins with aromas of black currant, blueberry and cocoa. The palate is generous with flavours of cherry, plum, blueberry and sage. This wine overdelivers for the price. 90. Monster Vineyards Red Eyed 2012 ($19.90). This is 83% Merlot, 7% Malbec, 6% Syrah and 2% each of Cabernet Sauvignon and Cabernet Franc. A minor quibble: the term, Meritage, should not be on the bottle because Syrah is not part of a Meritage blend, even if it almost certainly improves the wine. The wine begins with aromas of dark plum, black cherry and vanilla, with the perfumed note of Malbec. On the palate, the wine has abundant flavours of black cherry and black currant with a hint of cedar and sage on the finish. 90. Poplar Grove Merlot 2010 ($29.90). How do you make a great wine in a cool vintage? In 2010, Poplar Grove reduced the yield of its total production from a potential to 210 tons to just 80 tons to assure good ripeness. It worked. This Merlot has 14.8% alcohol. There is also 10% Malbec in the blend. It begins with powerful aromas of black currant and vanilla, leading to flavours of black currant, black cherry, cola and chocolate. The ripe tannins give this a concentrated texture. The wine is drinking well now but will age well. 91. Poplar Grove Cabernet Franc 2011 ($34.90 for 450 cases). This wine is 85% Cabernet Franc, 10% Malbec and 5% Merlot. This is arguably the signature varietal for Poplar Grove. This wine, whose polished texture comes from 21 months barrel aging and 18 months bottle aging, begins with spicy aromas of raspberry and blackberry. On the palate, there are flavours of black and red currant, with hints of black cherry, chocolate and vanilla. An ageable wine, it benefits from decanting if you must drink it now. 92. Poplar Grove Syrah 2011 ($34.90). There is 4% Viognier in this wine, co-fermented with the Syrah. The wine begins with bold, meaty aromas of deli counter spice, plum and vanilla. On the palate, there are flavours of spicy black cherry, plum and prune, with lack pepper on the finish. The texture is generous. 91.